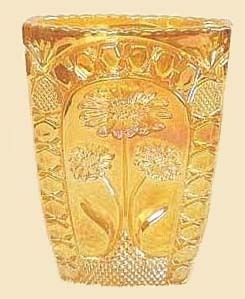 Left - ASTERS - 5 in. 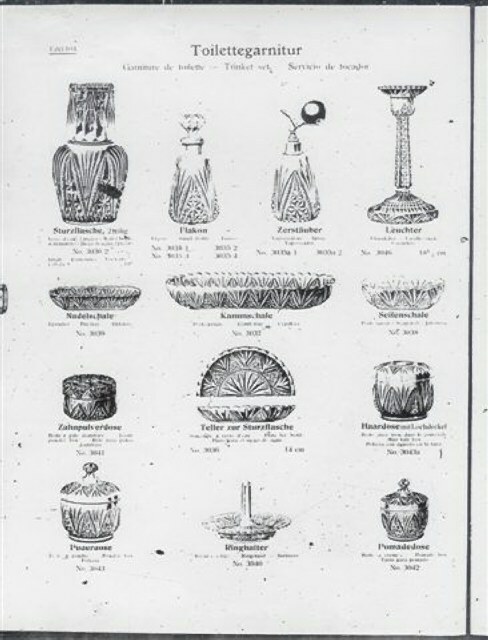 Vase. 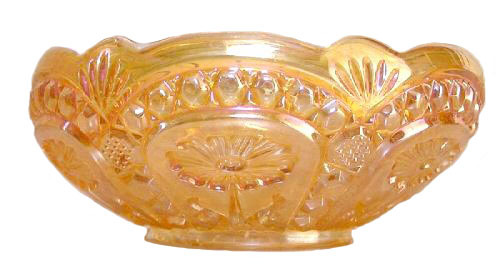 Right - ASTERS Bowl by Brockwitz - 9.25 in. diam. 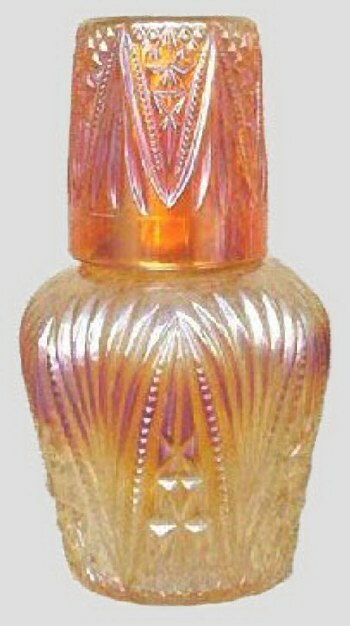 x 3.25 in. deep. 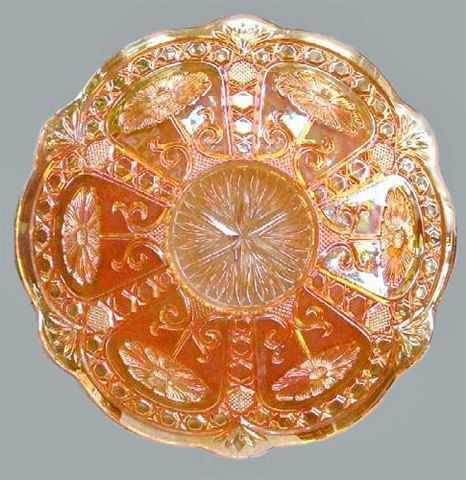 ASTERS Cake Plate - Courtesy Remmen Auctions. 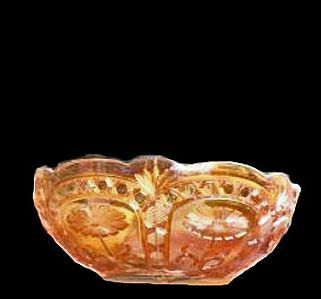 ASTERS Chop Plate - 12 in. diam. by Brockwitz. 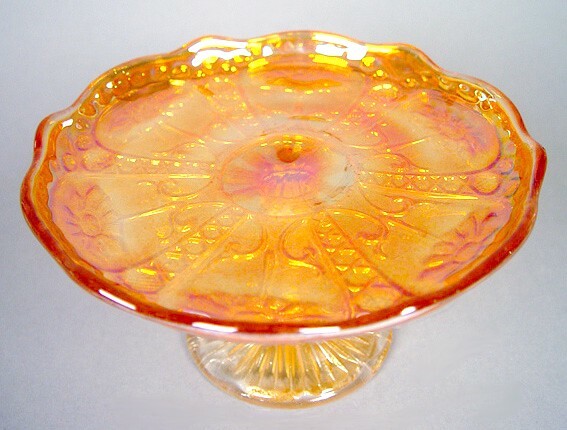 ASTERS Rosebowl - 5 inch diameter. 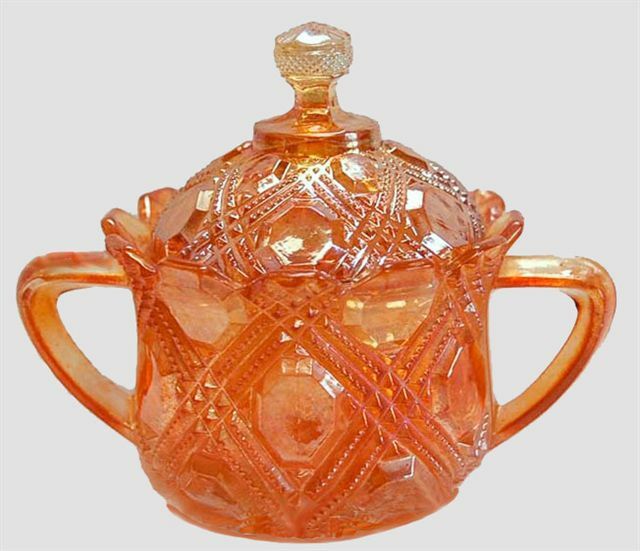 ASTERS rose bowl: We have seen this piece in a lovely shade of cobalt blue. 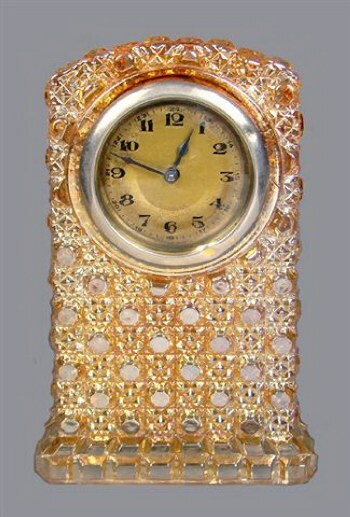 REGAL CANE Clock: At least a couple of styles are known in this clock design. This one is about 5” tall. It has sold for $800. 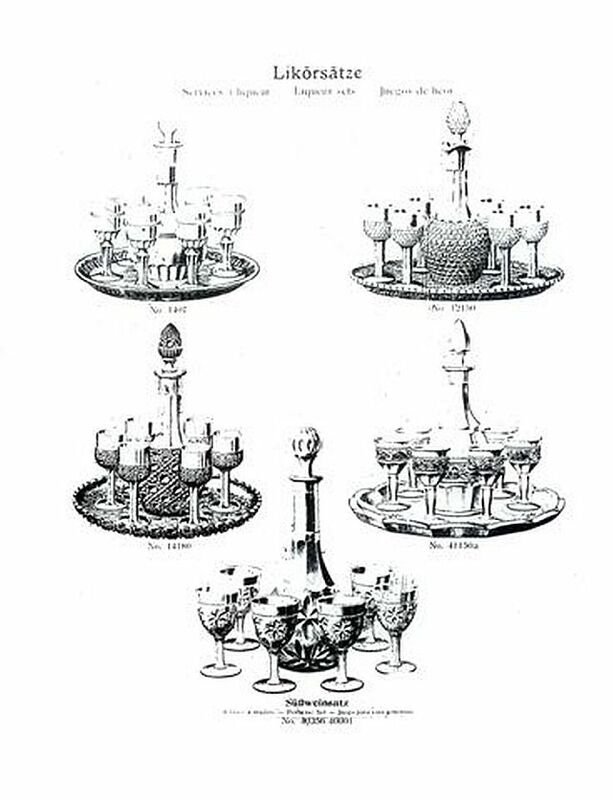 MINIATURE HOBNAIL Wine Set by Brockwitz. 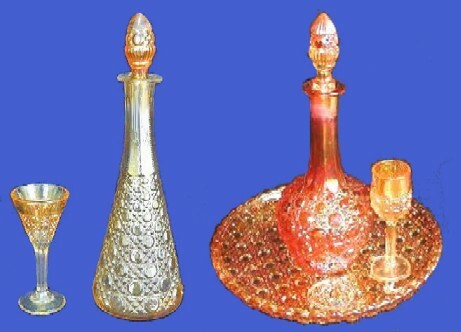 Left - REGAL CANE Wine Set, Right - Decanter and Cordial - Brockwitz. 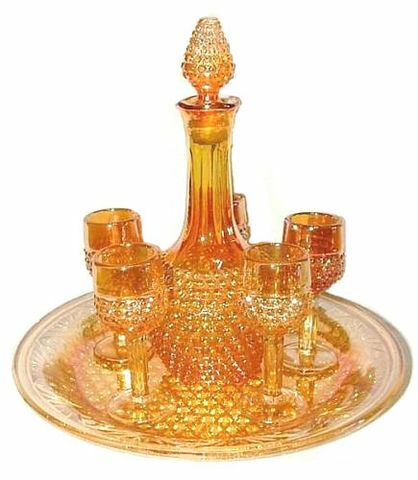 MATTERHORN Night Set - Bottle - 7.70 x3 in. Tumbler is 3.25 in. tall.